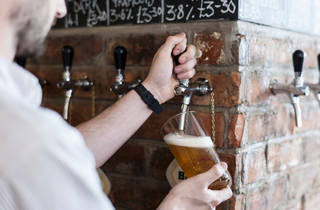 Craft beer – interesting, progressive beers made by small-scale breweries, and distinct from real ale – is often explosively hoppy and quite unlike traditional British beer. 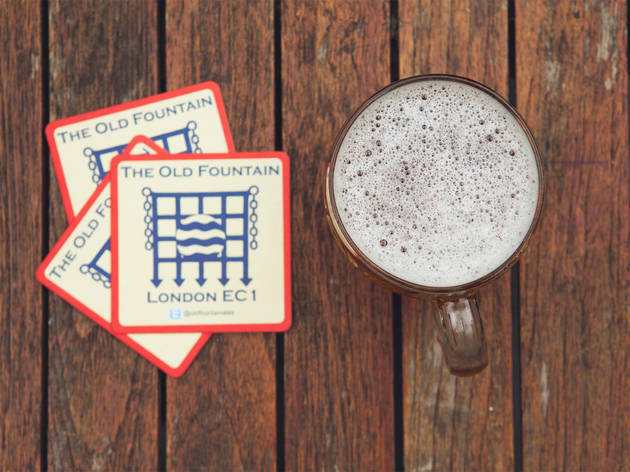 An increasing number of London bars and pubs are specialising in them – from brewery taprooms to down-to-earth pubs. Here's our pick of places that are top of the hops. 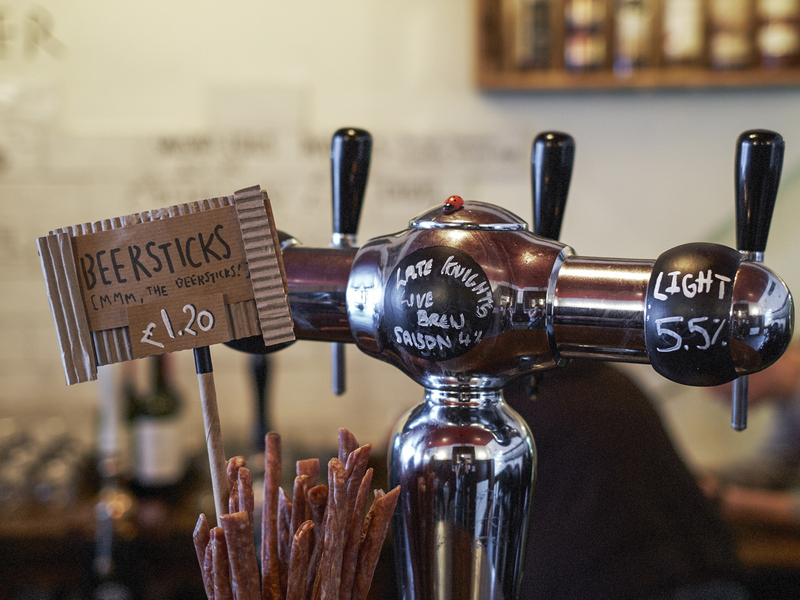 A quick taster Stokey local with a welcoming vibe and a bulging roster of beers – including 22 options on tap. Make mine… Stick close to home with Tottenham’s Pressure Drop or choose options from further afield, like stout from Belgium’s Siphon brewery. When to visit Choose a sunny day, where a yard out the back makes the perfect spot to catch some rays and sup some suds. A quick taster Smart, stylish and moody, with loads of London pride (not on tap, thankfully). Make mine… There’s usually something from west London experimentalists Weird Beard on tap – fans of bold flavours and high ABVs should start here. When to visit Depends how fond you are of bankers. It’s closed at the weekend, so aim for pre-5pm if you’ve ever been on an anti-austerity march. A quick taster Casual, convivial and warmer than a hug from Chewbacca. 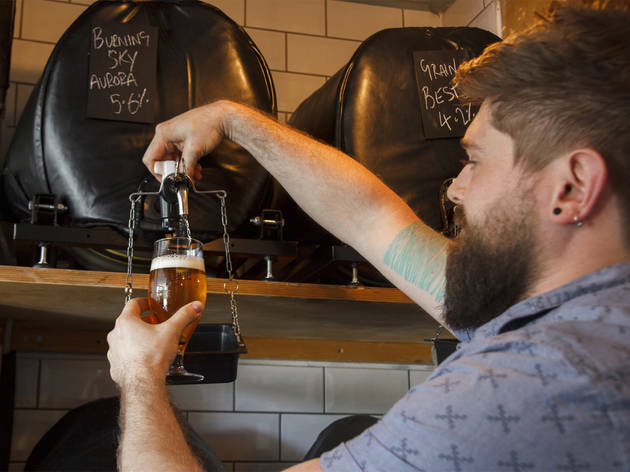 Make mine… If it’s value for money you seek, whatever’s strongest – the three cask offerings are always £3.50, regardless of ABV. 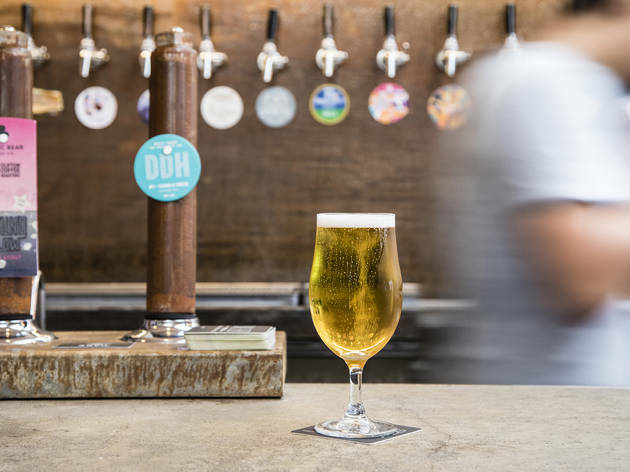 When to visit Ideally during one of the monthly ‘meet the brewer’ events, (free, but you need to book) which involve borderline suspicious quantities of free beer. A quick taster A well-stocked bar whose parent brewery recently went under, freeing up tap space for a more exciting line-up of beers. Make mine… Fourpure’s beers are everywhere these days, but its more adventurous brews are well worth trying, and many of them end up here. 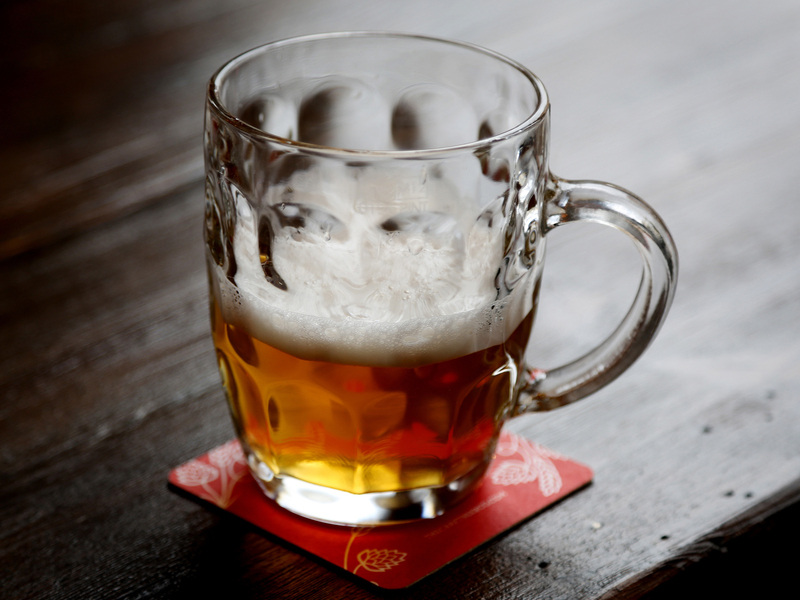 When to go When in the company of true craft nerds – they’ll dig that you get to choose your own glassware. A quick taster In an area not well served by good pubs, this is a beacon of craft happiness. 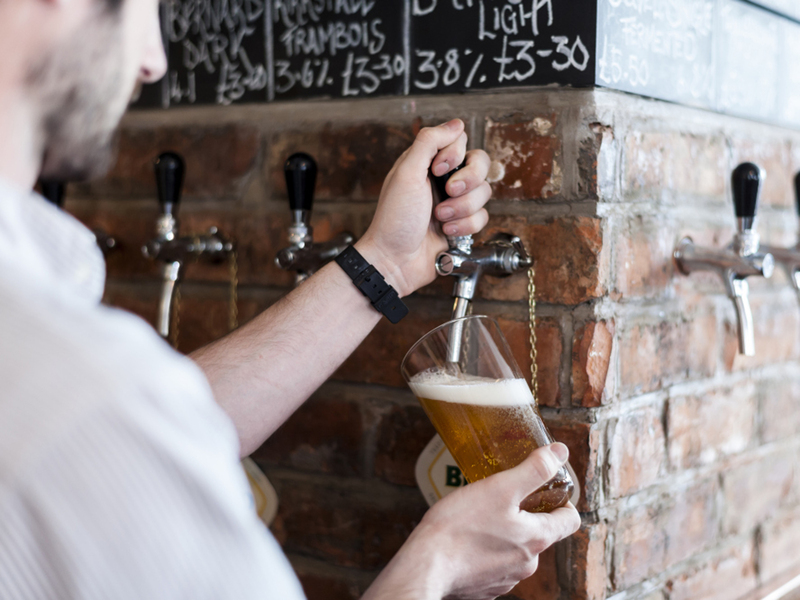 Make mine… Anything own-made by Brewdog is brill: we love the Libertine black IPA. When to visit NOT before a gig at Shepherd’s Bush Empire: you’ll probably get so carried away with the beers you’ll miss the show. 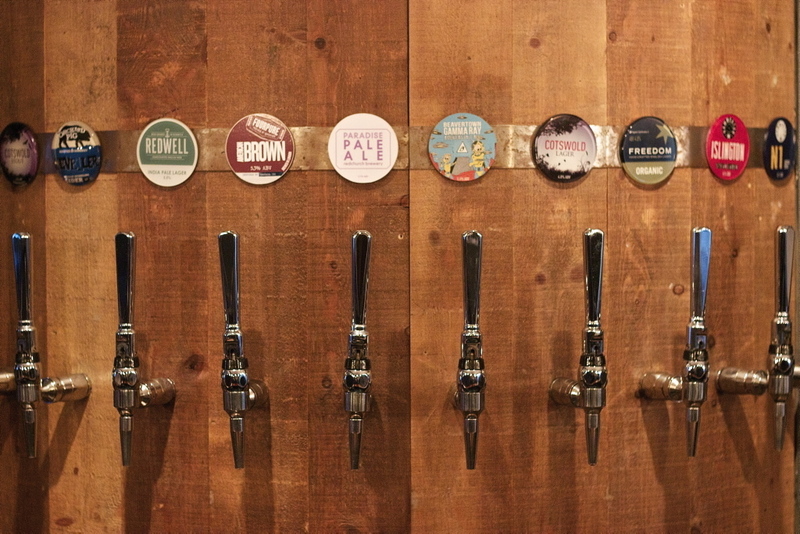 A quick taster No great looker, but a craft beer oasis in Pimlico nonetheless. Make mine… Something rare from a little-seen Belgian brewery like Fantôme or Brasserie La Senne. When to visit Do you ever find yourself adrift in Pimlico? Probably not: go there especially. A quick taster A Hackney pub for all seasons, with a wood-burner inside and a proper beer garden out back. 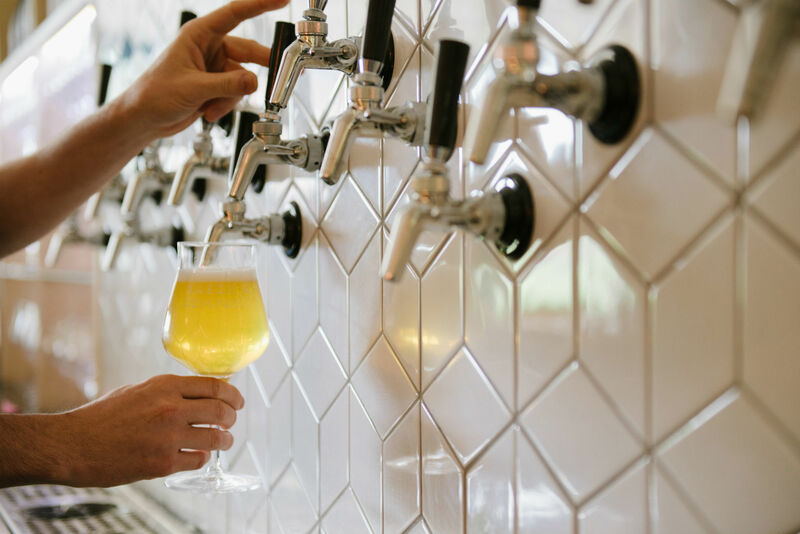 Make mine… The best stuff is in the fridge; try Yeastie Boys’ Gunnamatta Early Grey IPA or something from Danish experimentalists To Øl. When to visit When the sun’s out and you can’t deal with the barbecue smoke on London Fields. 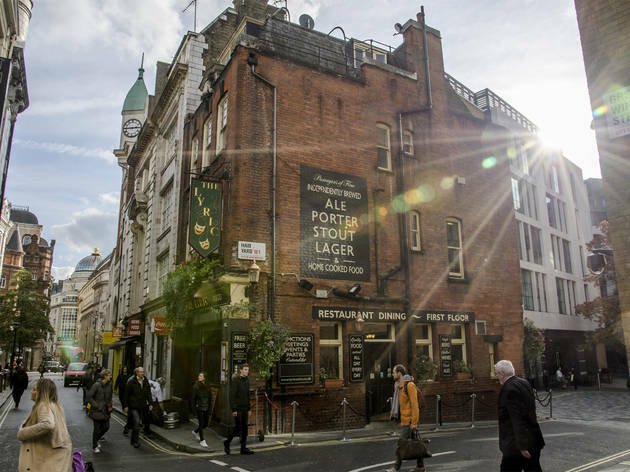 A quick taster Trad-styled boozer with a consistently impressive tap line-up, great pork pies and a brewery in the basement. 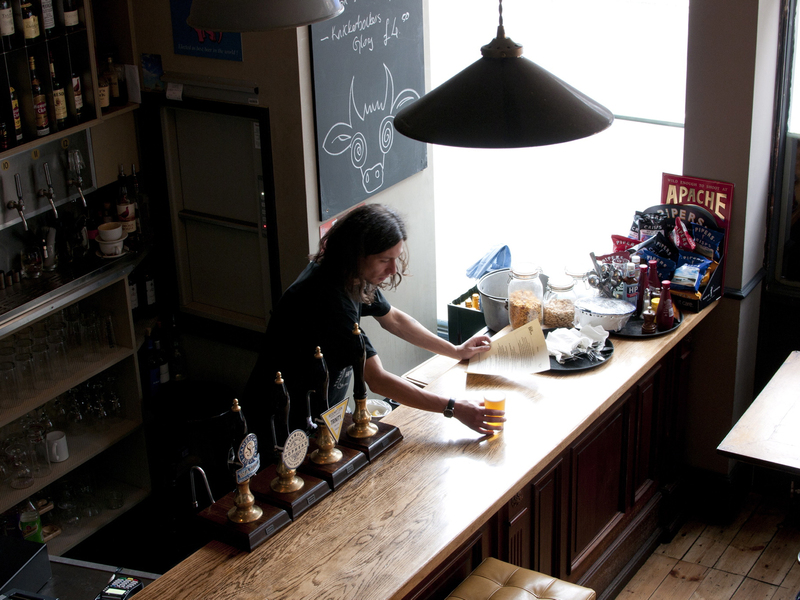 Make mine… It only ever seems to be on cask, but try something from Maregade, the pub’s own microbrewery. 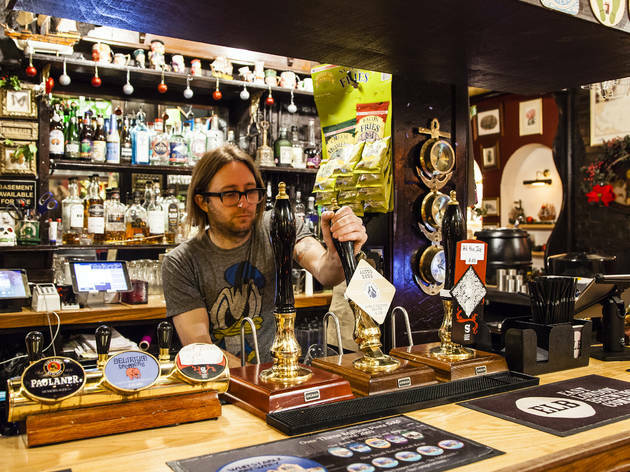 When to visit The pub regularly gives the bar over to a guest brewery for a tap takeover, which – brilliantly – usually comes with a side of cheese. 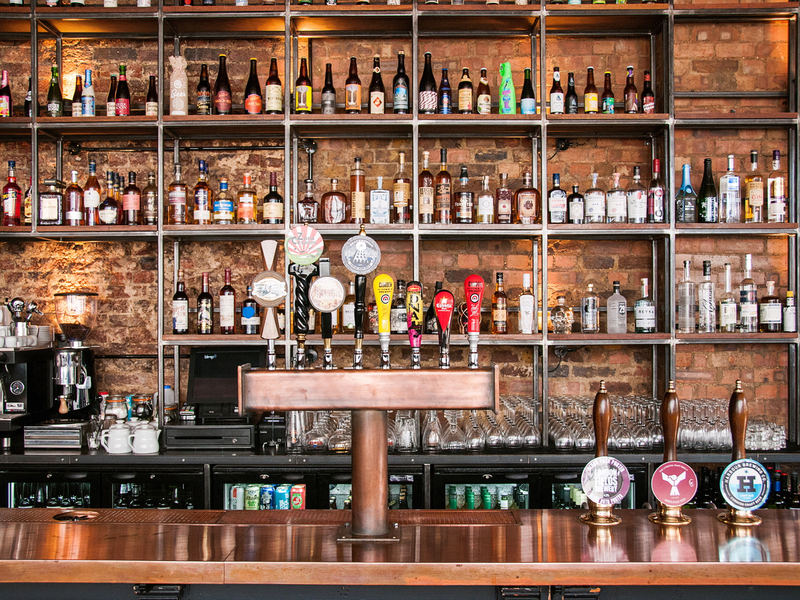 A quick taster Craft Beer Co bars are the city’s superlative craft beer destinations, and this is the original branch. Make mine… Shut your eyes and point somewhere, drink what you’re given. It’s all amazing. When to visit At the finishing line of a craft beer nerdathon. 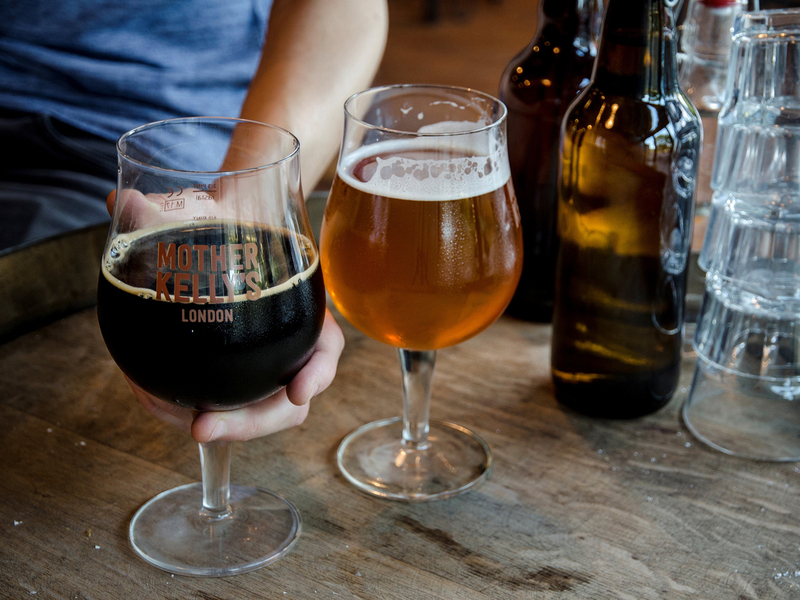 No one in London knows craft beer better. 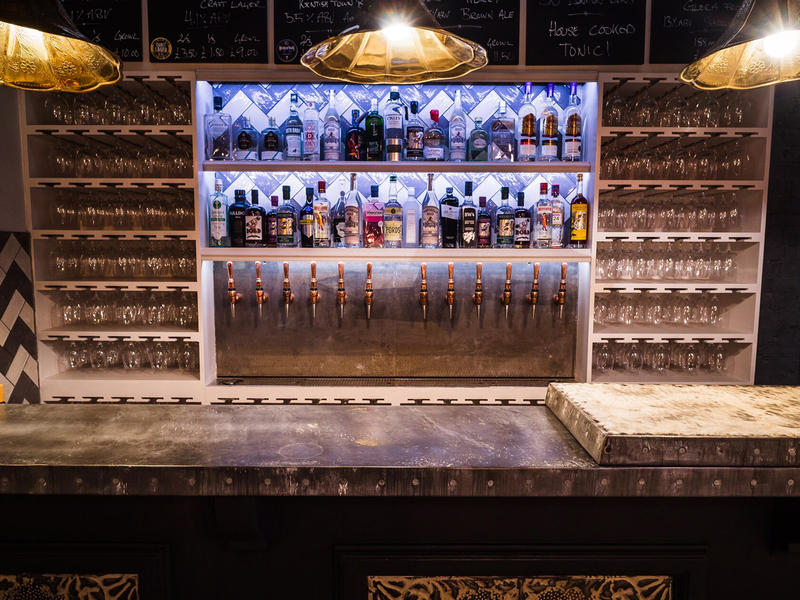 A quick taster Brixton boozer gets a glorious craft beer upgrade. Make mine... It has to be something from Brixton Brewery: we love the Windrush Stout. When to visit On a Brixton night out when you want to escape the crowds around the station area. A quick taster A cosy South Bank pub that’ll make you feel like a local. 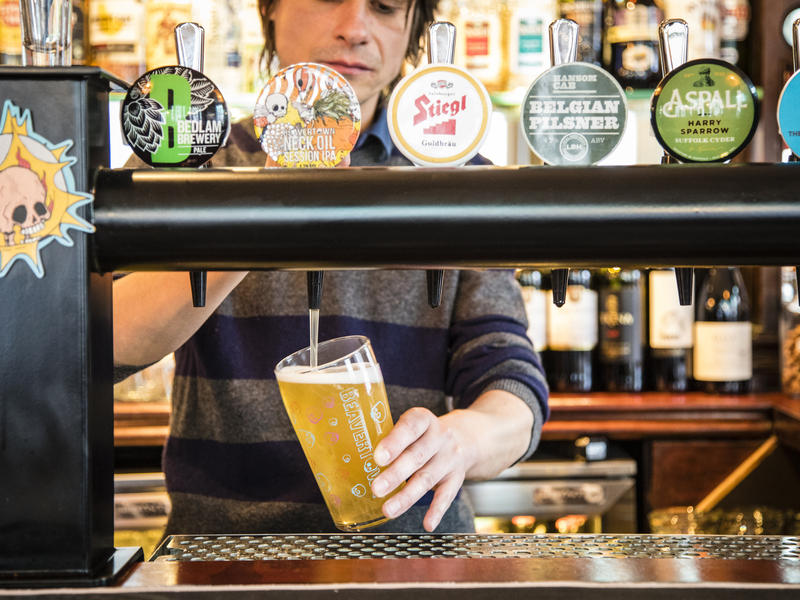 Make mine… the Swift's own light and easy Belgian pilsner. When to visit When you need to escape from the South Bank tourist crowds. A quick taster All branches of this London mini chain are beacons of good beer and solid pub food; this one is welcome because there’s not much else to recommend round here. Make mine... There’s a daily cask for £2.75 a pint – can’t argue with that. When to visit It’s always lively during sporting events, especially rugby. 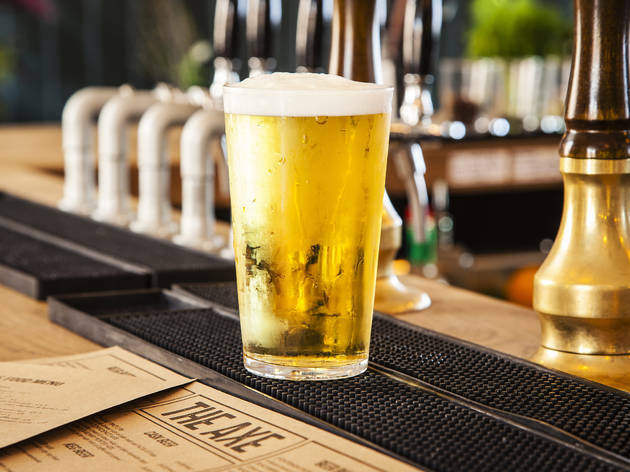 A quick taster A proper steeped-in-tradition boozer that nails the modern touches; expect street food, buzzed-about brews and regular beer-centric events. Make mine… Local brewery Hammerton’s N1 session pale is a staple on keg – the perfect weeknight pint. When to visit For the annual ‘swearing on the horns’ party, a debauched celebration that dates back centuries. A quick taster A posher-than-average gastropub with an on-site brewery. Make mine… Something from Long Arm Brewing Co., which lives on the premises. The smoky Shadow Wolf stout is ideal for fireside drinking. When to visit When you’ve earned a fancy meal out, but can’t be doing with any of that wine nonsense. A quick taster Superb pub with handsome Georgian features and always-amazing beer. 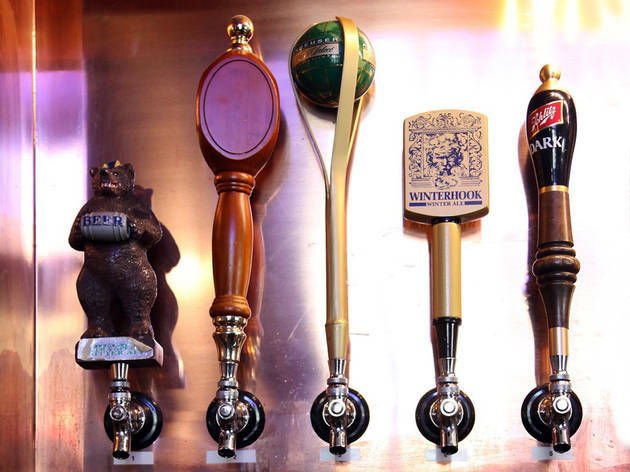 Make mine… Turn from the bar to peruse the big, bold beer list, and take your pick. When to visit On an Islington night out, when you’re fed up of Upper Street. A quick taster Compact but commendable beer bar where the action spills out on to the pavement. Make mine… Check out the blog for the latest tap list. 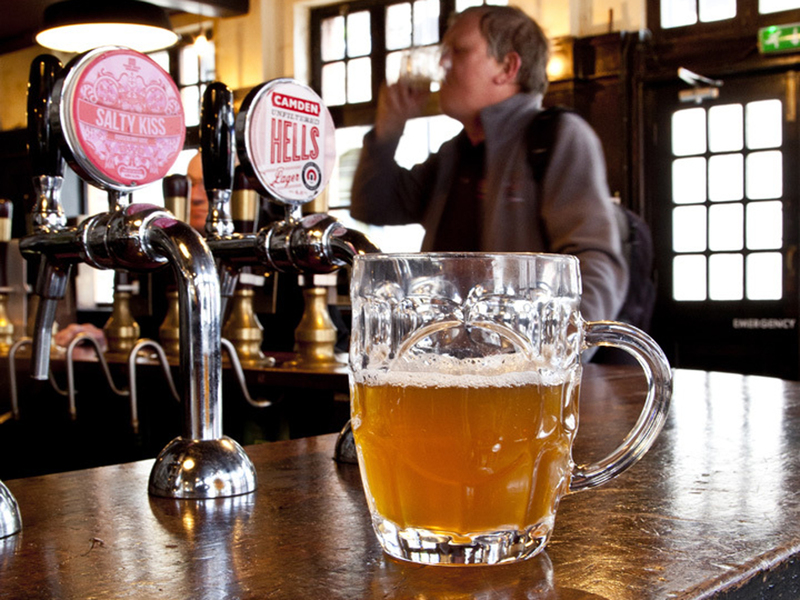 When to visit Any time you’re travelling through Euston station – get off, have drink, continue journey. 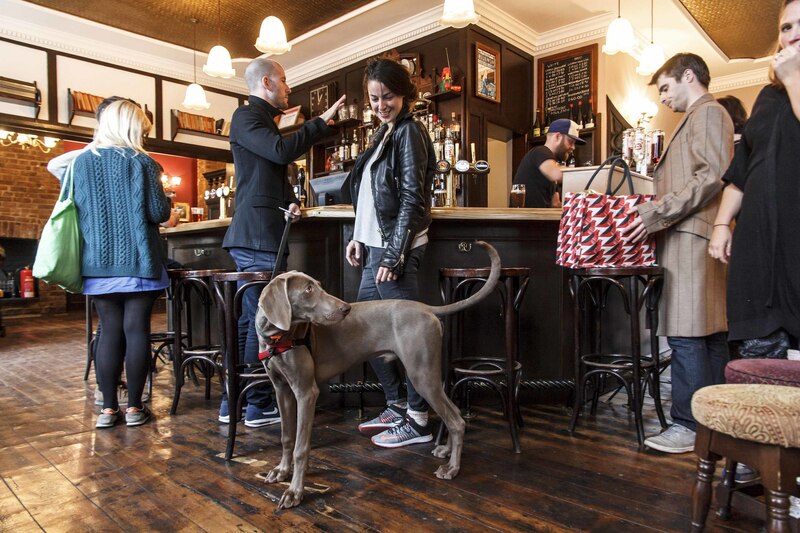 A quick taster Popular Exmouth Market boozer that’s always buzzing but never rammed. Make mine… Bermondsey brewery Anspach & Hobday’s often on the taps. Look out for the incredible Smoked Brown. 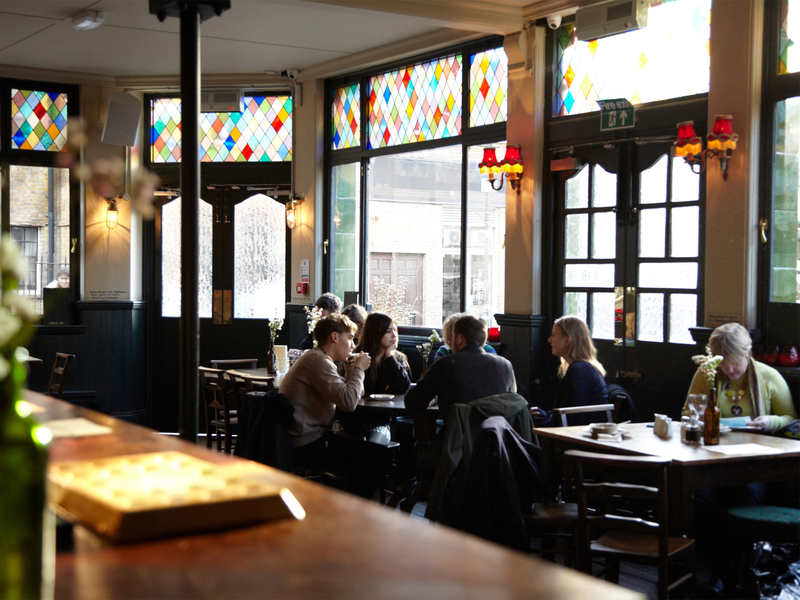 When to visit It’s one of those time-honoured pubs that seems to fit every occasion: contemplative solo pint, birthday party, quiet-meal-for-two treat. 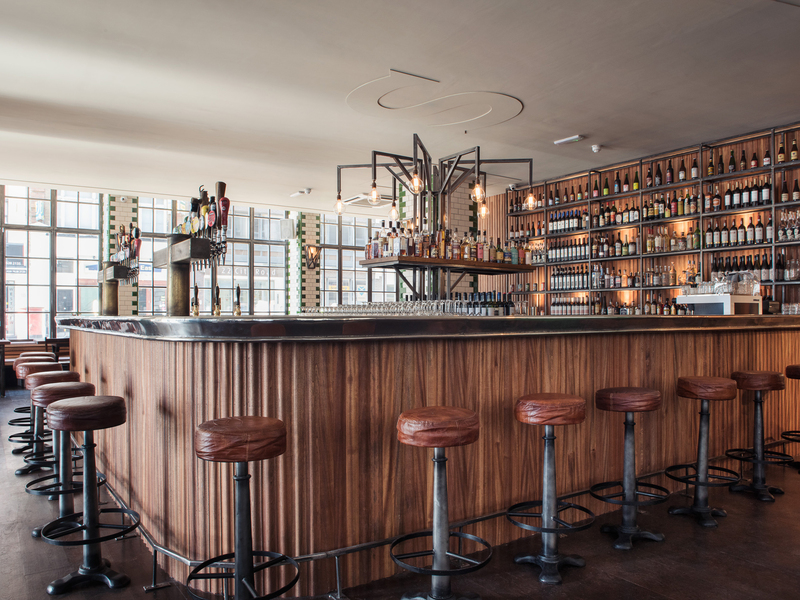 A quick taster Subtly modern reboot of a good old-fashioned East-End boozer. Make mine… Pressure Drop brews about half a mile away: reduce your beer miles and order local. 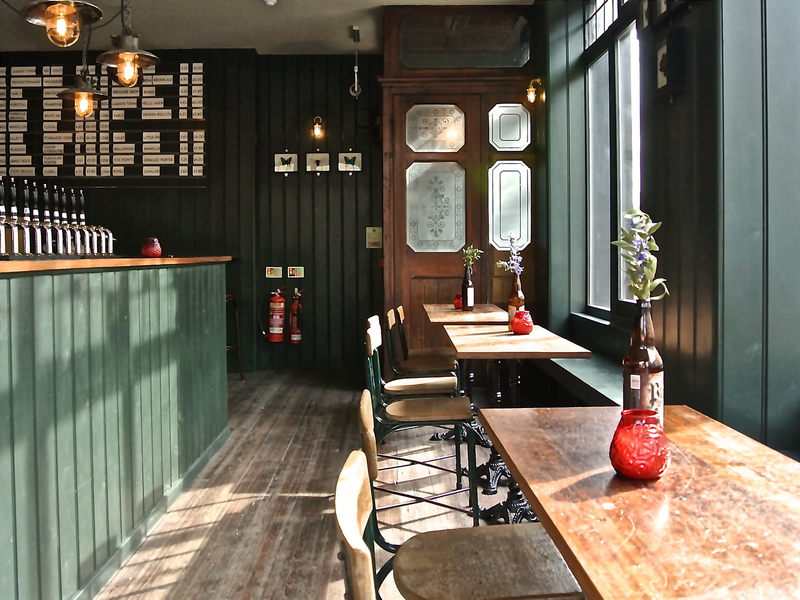 When to visit When you need a reminder that not all pub refurbs are posh and exclusive. A quick taster A pub once owned by Piers Morgan that’s now under the wing of the Pubs of Distinction group. 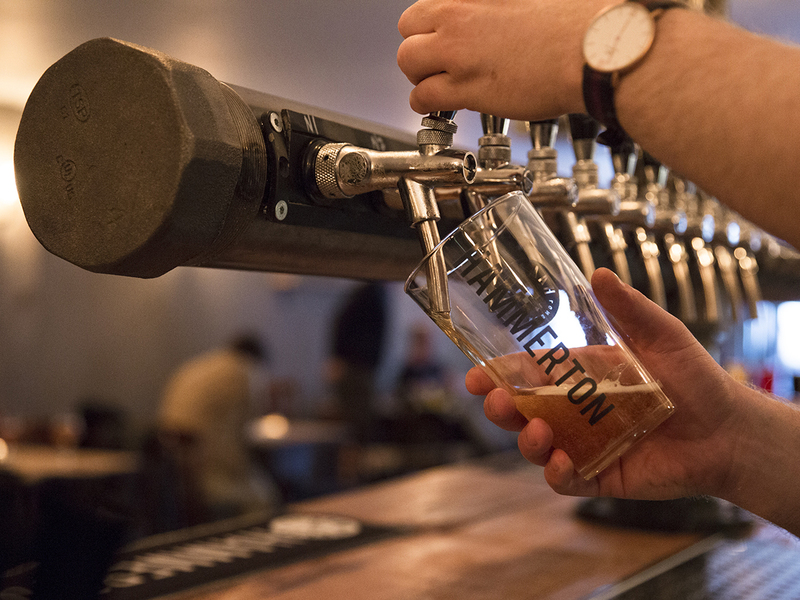 Make mine… London’s craft beer scene is well represented – pick from Beavertown, Five Points and the like. When to visit When you’re feeling peckish – ‘beer snacks’ are meaty morsels that marry well with what’s on tap. 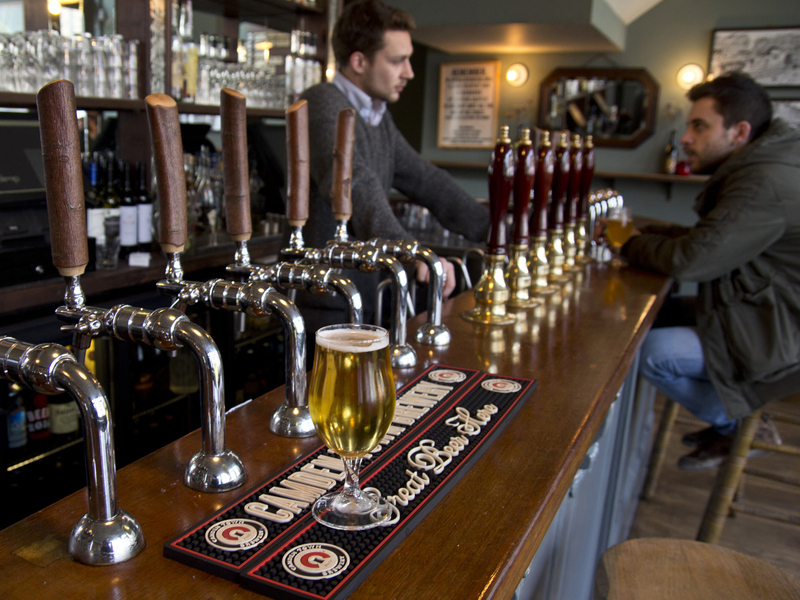 A quick taster Right in the centre of central London, a bar that puts beer before all. 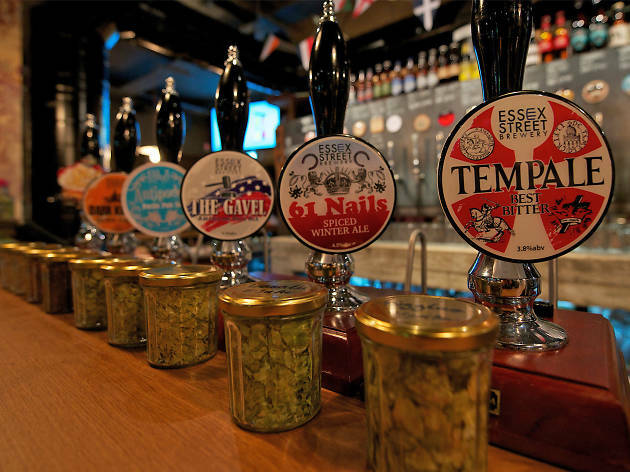 Make mine… The focus is on real ales from British breweries, all kept exceptionally well. 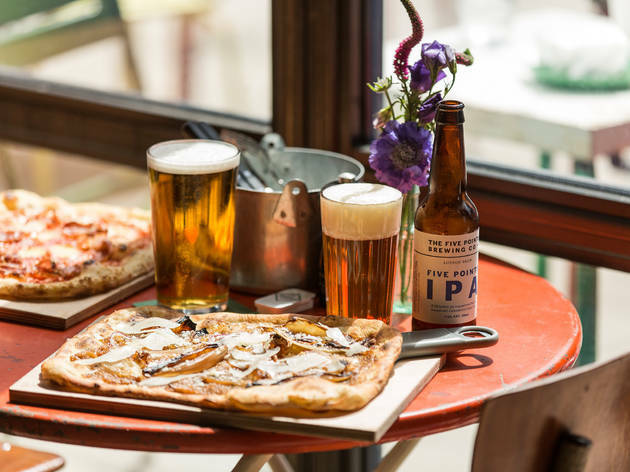 A quick taster An East End-styled bar out west, serving wood-fired pizzas and beer from a London-centric tap list. Make mine… Whatever’s on the regularly changing guest tap if you’re feeling adventurous, classics from Beavertown and Fourpure if you’re not. When to visit At the weekend – as part of the new Paddington Basin development, it’s a little deserted during the week. A quick taster Intimately close-quarters and no-nonsense drinking. Make mine… Go for anything from Siren if it’s on, one of the UK’s best breweries. When to visit After work to soak up the post-office vibes. It’s *way* better than the chains in this area. 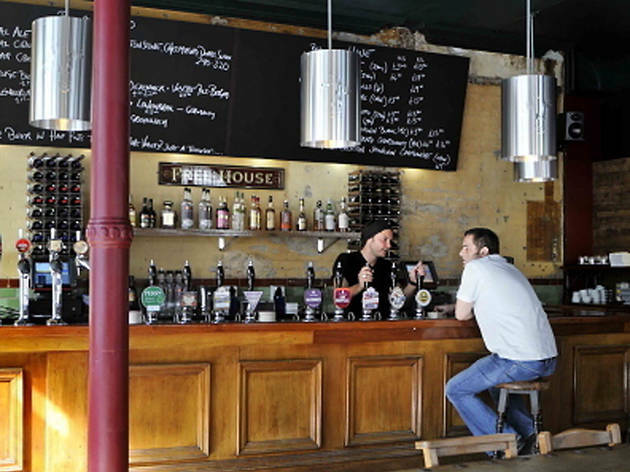 A quick taster A Holloway Road taproom housed a mile away from Barnsbury’s Hammerton Brewery. 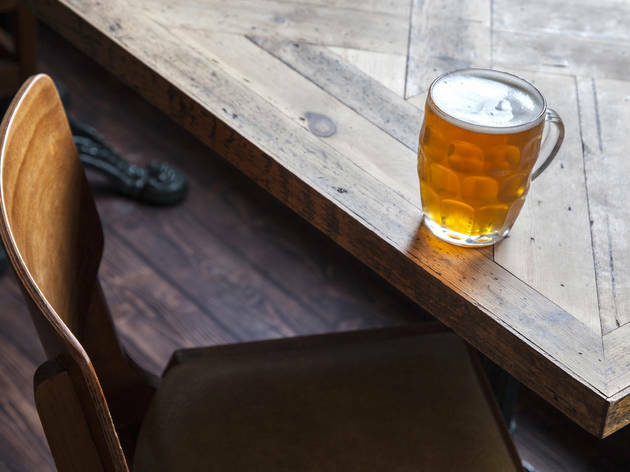 Make mine… There are 24 keg lines to choose from, but it would be rude not to sample something from the Hammerton family – N7 IPA gets our vote. 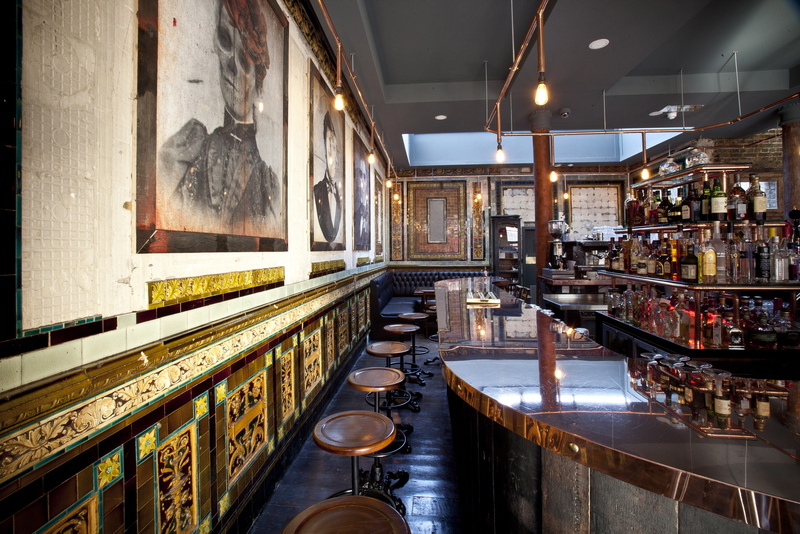 When to visit Bring a group of pals – loud music and friendly staff make this a great spot for lively sipping. A quick taster The only all-Italian craft beer bar in London. 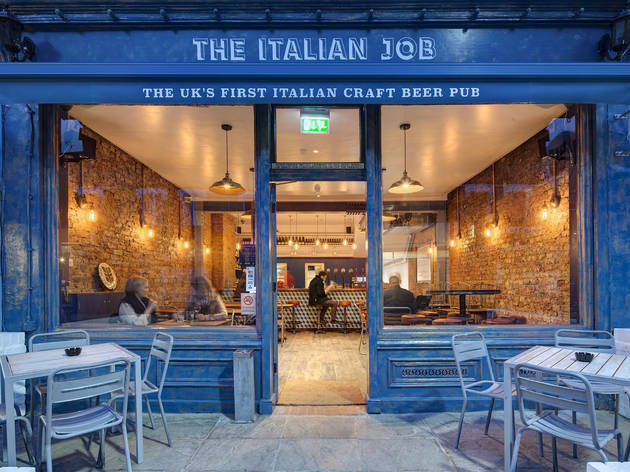 Make mine... Italy has a really strong craft beer scene, little-known-about here – try something from the pioneering Baladin or Del Ducato. 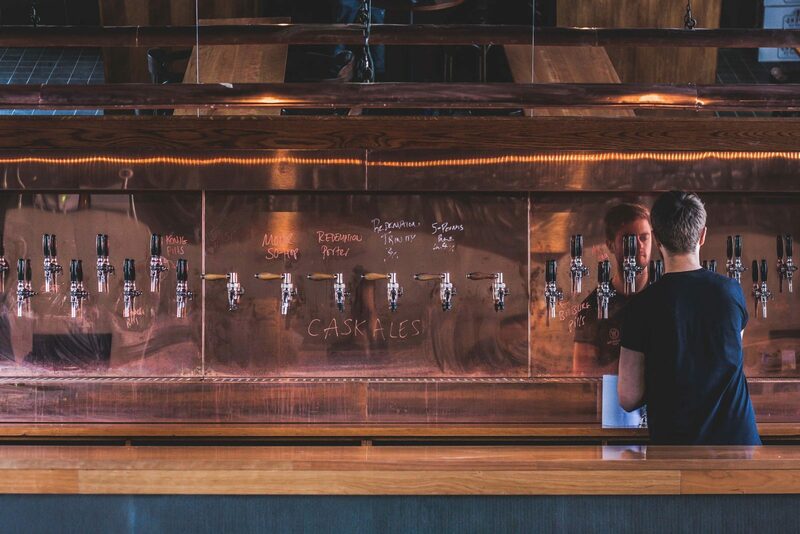 When to visit To remind yourself that craft beer is truly borderless. A quick taster Big, bustling and busy main-road boozer. Make mine… We’ve often seen Siren’s soothing Undercurrent oatmeal pale ale on handpull. 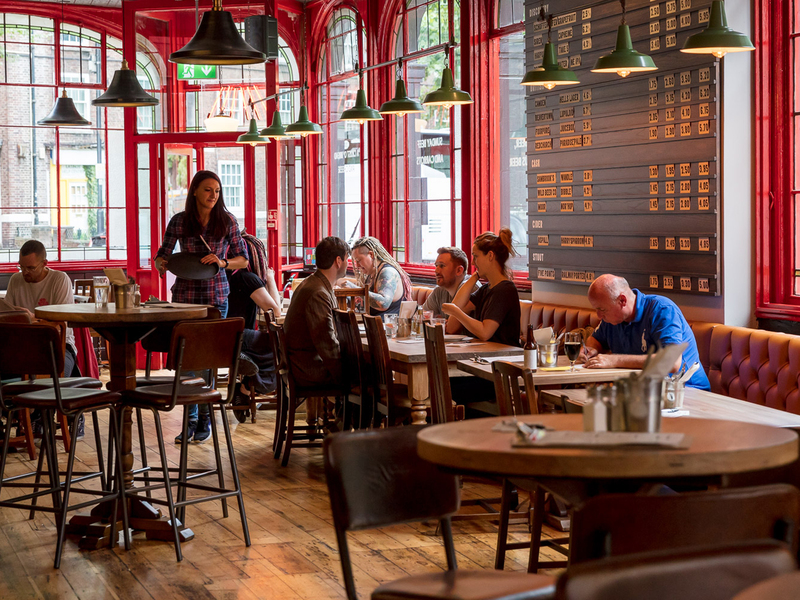 When to visit Before a meal with pals in one of Stokey’s great restaurants. A quick taster A backstreet pub with a surprisingly esoteric selection of beer. Make mine... 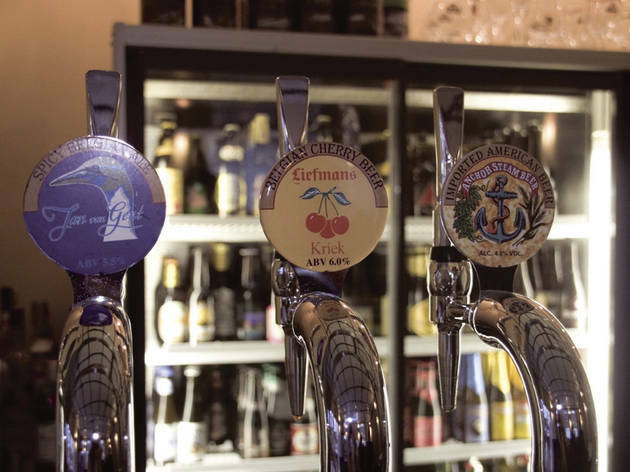 There are often rare Belgian brews from independent breweries on offer. 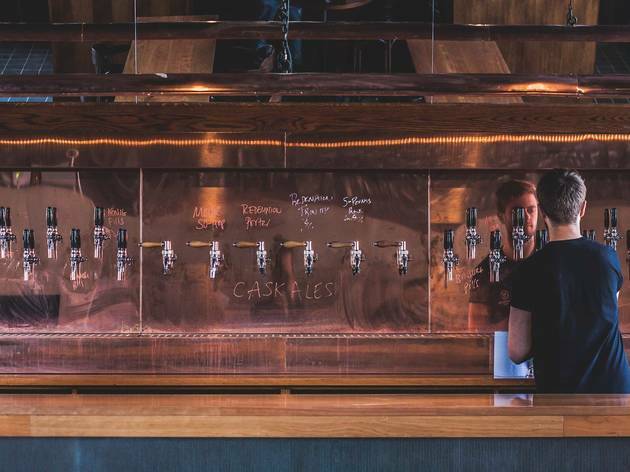 When to visit On a craft beer pilgrimage. A quick taster A pint-sized south London local that’s far too easy to settle into. Make mine… It’d be rude not to try one of the Late Knights brews. When to visit It’s a welcoming spot no matter the time of day – settle in on a sunny afternoon and stay there until dark. 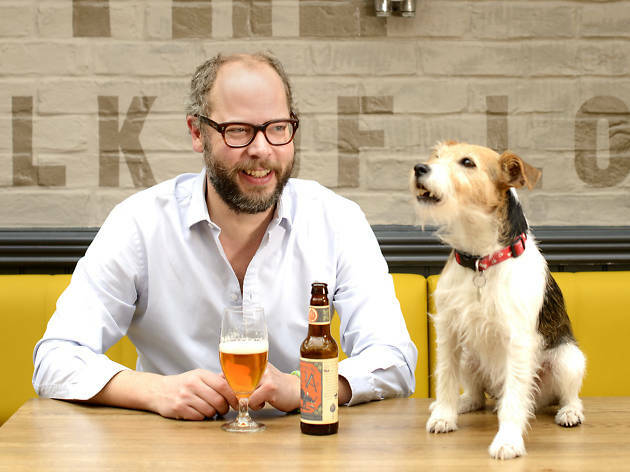 A quick taster Shoreditch brewpub aiming to be London’s first fully sustainable pub. Make mine… Long Arm’s output is served tank fresh – but the brewery’s Shadow Wolf stout by the bottle is also a great drop. When to visit Early afternoon pints are recommeneded if you want to browse the range, since this bar can be heaving come clocking off time. A quick taster A surprisingly pleasant boozer at the foot of Tourist Mount Purgatory. Make mine… Ignore the tourists baffled by the huge selection and go straight for a London brew. 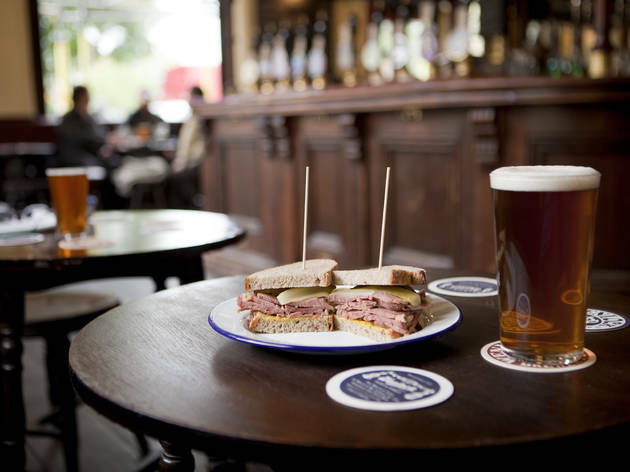 When to visit Pre-theatre, post-shopping, or for some uncomplicated pub grub. A quick taster A cool, modern-looking canalside pub from Hackney brewery Five Points and street-food dudes Capish?. Make mine… Five Points’ brews are the best value, starting at £4.50 a pint. Start with the sweet, spicy and powerful Hook Island Red. When to visit When you’re good and hungry – the Italian-American food is fantastic and filling. 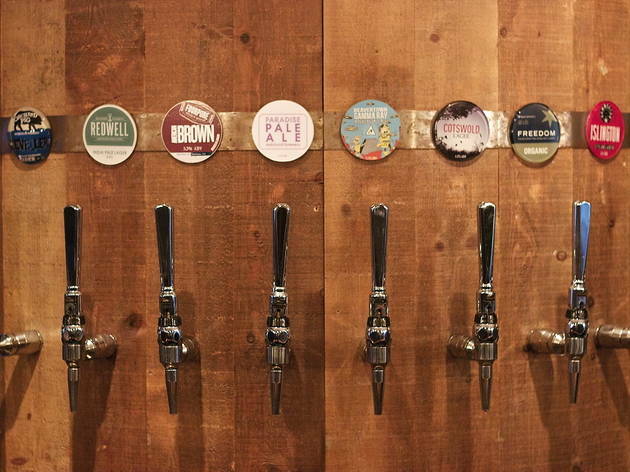 A quick taster Maybe the best craft beer bar in London: there’s always an incredible selection. 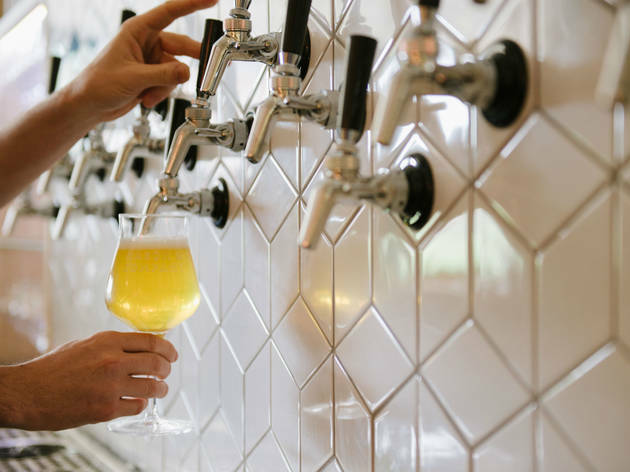 Make mine... Look out for exclusive brews on tap from Mikkeller, the sought-after Danish brewer. When to visit Choose a sunny Sunday and make it a session – sitting out on a bench with a brew doesn’t get much better than this. A quick taster Just off Columbia Road, this charming pub has an old-man aesthetic but a modern approach to beer-drinking. Make mine… They pour from London breweries near and far – Hammerton, East London Brewing Company, Five Points and Redemption are regulars. When to visit Winter months are when this pub comes into its own thanks to a roaring fire and a comforting menu of pies and roast dinners. 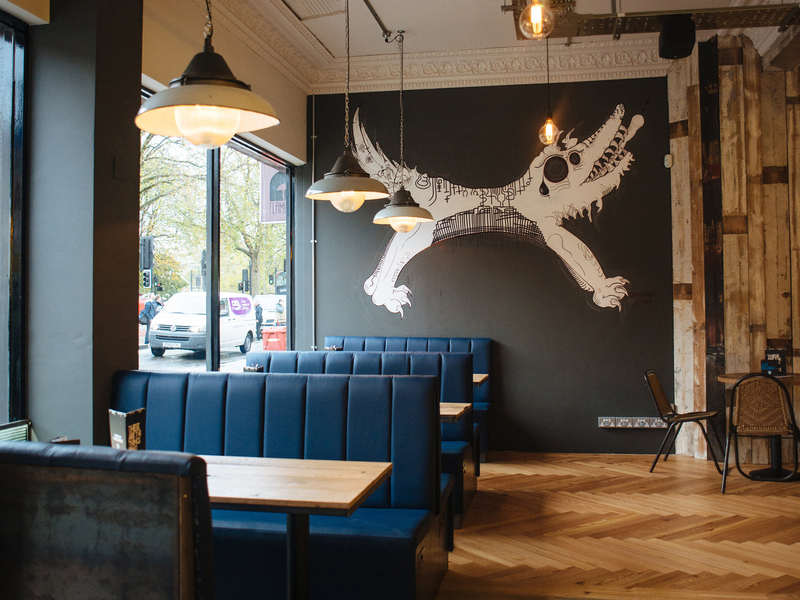 A quick taster A family-owned escape from the hipster nexus of Old Street. Make mine... 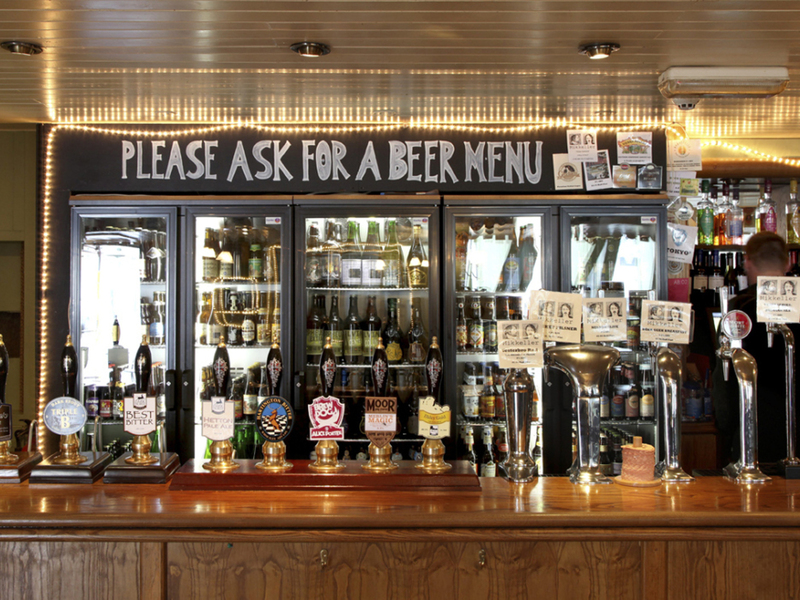 This is a place where you consistently find Kernel pale ales on draught. When to visit On a Shoreditch night out when you want something more authentic. A quick taster A gastropub that puts the focus on the brews. 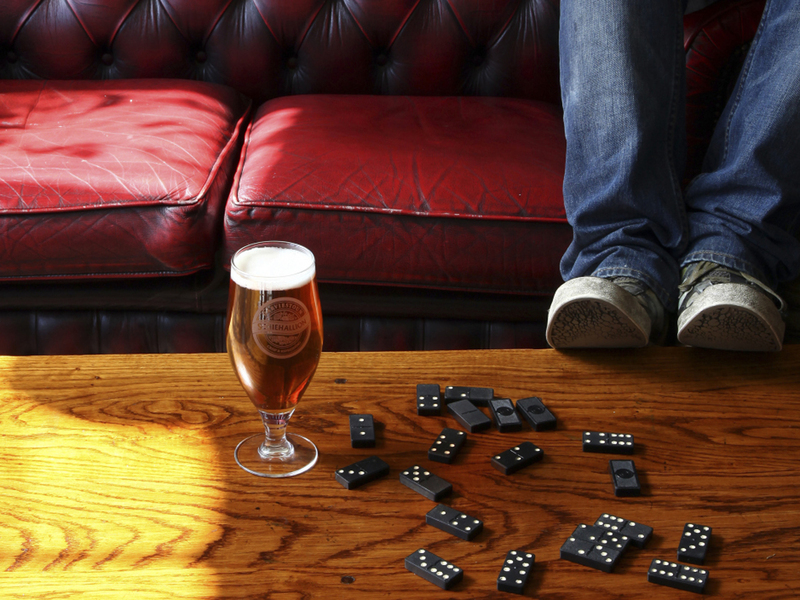 Make mine… Choose something from the ‘brewery of the month’. 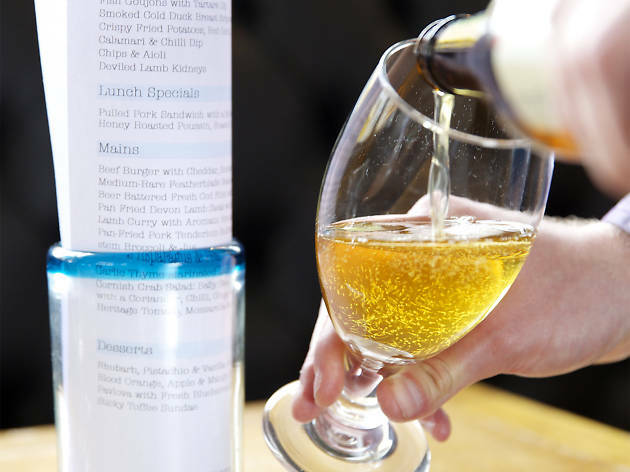 When to visit When you're looking for top quality grub to go with top quality beer. A quick taster A pocket-sized pub from the people behind the Bermondsey Arts Club. Make mine… If you’re into hop-forward American styles, try something pale and strong from Fourpure. 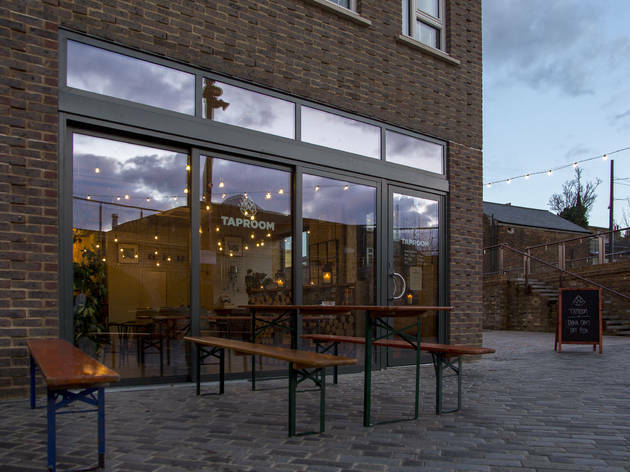 When to visit During the week, when the nearby Bermondsey Beer Mile taprooms are closed, so you can enjoy a mini-tour without leaving your seat. A quick taster A neighbourhood pub that makes buying a house in the area worthwhile (dream on!). Make mine… A big blackboard lists what’s on the 20 taps: it’s often hard to look past the Five Points Pale Ale, though, which is always on. When to visit If you’re not lucky enough to live nearby, seek it out if you’re in Stokey. A quick taster Brilliant backstreet boozer, intriguing Victorian features. 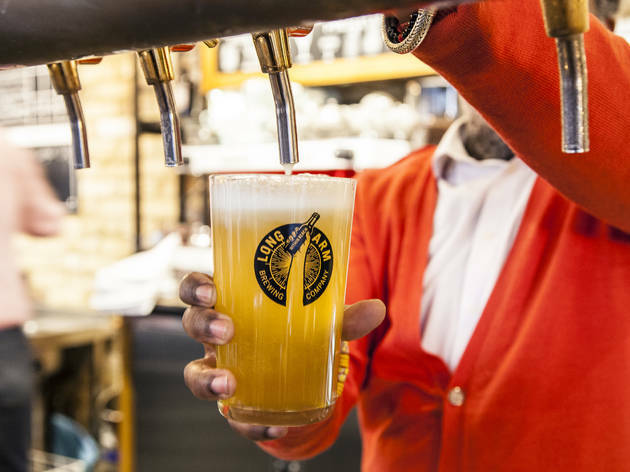 Make mine… We’ve regularly seen brews from The Kernel on tap, so make this your priority. When to visit Before or after a King’s Cross train trip. A quick taster A tiny boozer that’s all about the beer. Make mine… The selection changes all the time – ask the knowledgeable bar staff for a recommendation. When to visit When you need something to wash down an artisan pork pie from the market. 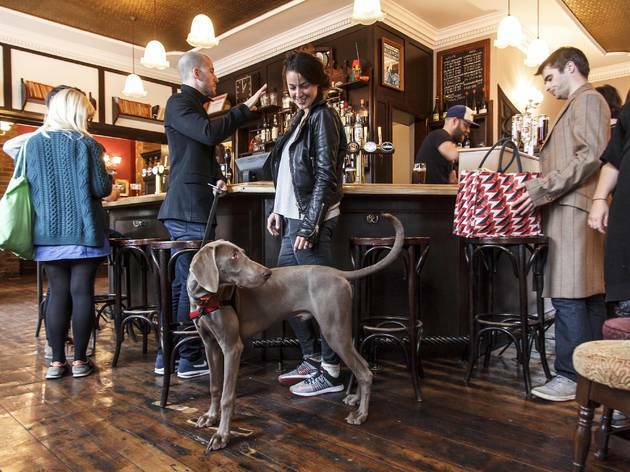 A quick taster Friendly neighbourhood pub with distractions aplenty. 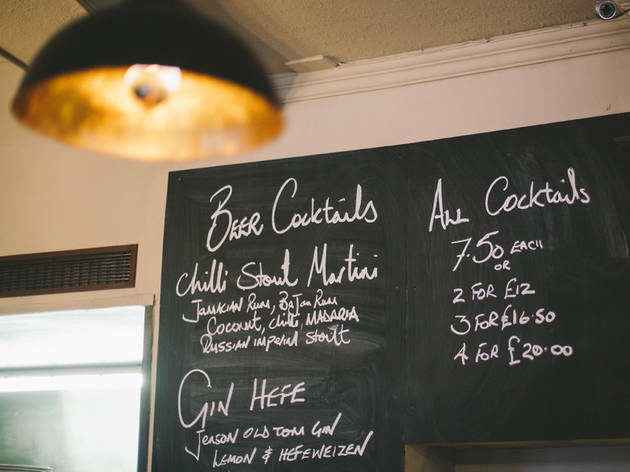 Make mine... Look out for the Hammerton N7, brewed just a mile away in Barnsbury. 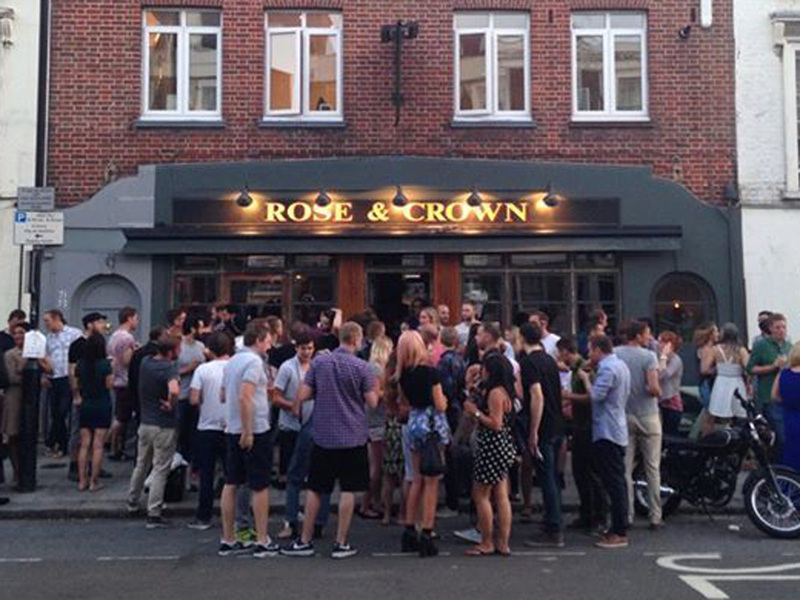 When to visit The Rose & Crown’s peaceful by day and lively by night. Choose accordingly. A quick taste A lively bar straddling the City and Shoreditch, with strong food and some of the best-stocked fridges in London. Make mine... Something punchy from Swedish brewer Omnipollo, which is well represented. The Zodiak IPA is a perfect take on the style. When to visit When you’re overdue a good long session. There are over 100 beers to choose from, plus a separate cocktail bar in the basement. 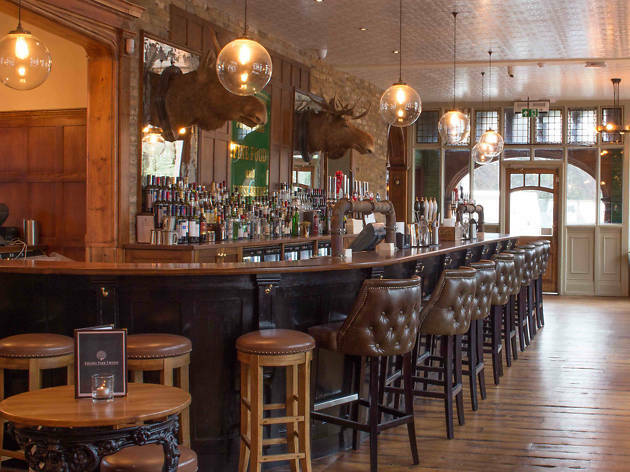 A quick taster A buzzy bar in Crouch End, sister to Highgate’s Duke’s Head. Make mine… Something from Wood Green’s House Brewery. Or be bold and try the bar’s craft beer cocktail. When to visit Come early evening to bag a snug spot and soak up the atmosphere. A quick taster A contender for the best pub in London: old-fashioned atmosphere, bang-up-to-date beers from independent UK breweries. Make mine... A Magic Rock from the handpull – they’re rarely better. When to visit When you’ve had enough of the modern world. 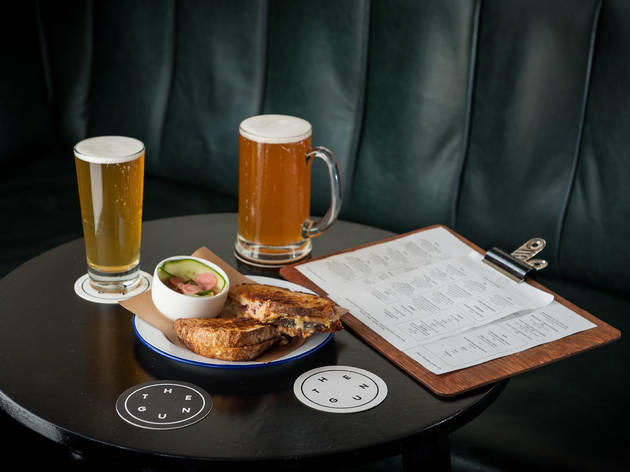 A quick taster No chalkboard witticisms, no pulled pork and no card payments – the absence of hipster affectations here is oddly refreshing. Make mine... 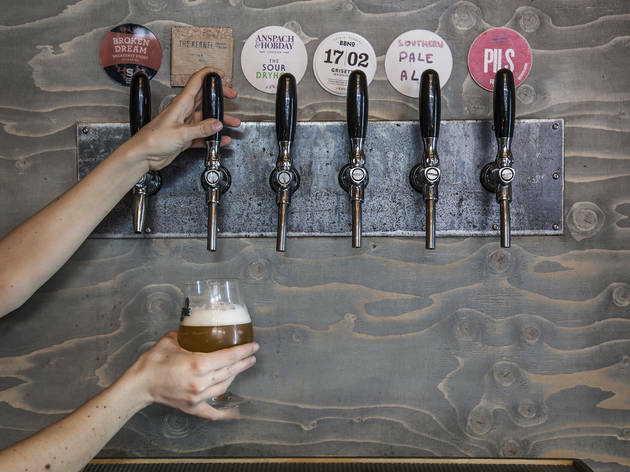 If it’s on, make a beeline for anything from pioneering Stockholm brewery Omnipollo. The Zodiak IPA in particular is uncommonly crisp and flavoursome. When to visit The selection of nearby food options is close to overwhelming, making this the ideal spot for pre- and/or post-dinner drinking. 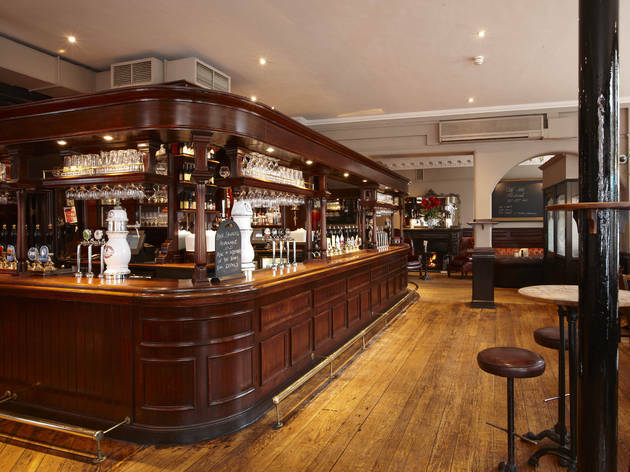 A quick taster Latest pub from the Draft House group taking over the spot where Charlie Chaplin used to visit. Make mine... In the canned beer range, find the best from small-scale British breweries (notably Northern Monk, Magic Rock and Gypsy Hill Brewery). When to visit If you fancy catching some rays, this pub has a roof terrace primed for sunny sessions. A quick taster Deptford bar brought to you by Hop Stuff Brewery. Make mine… Something from guest kegs from much-loved UK breweries – like Lost & Found and Wild Beer Co – or stick to local faves, Deptford’s Villages. When to visit Pop down on Saturday when Deptford Bites is in full swing. Street food and beer are a match made in heaven. A quick taster Meat, beer and suits in a basement. Make mine… Anything from the in-house Essex Street Brewery. When to visit A weekend, when it’s less heaving with drunken lawyers. Unless you are a drunken lawyer. 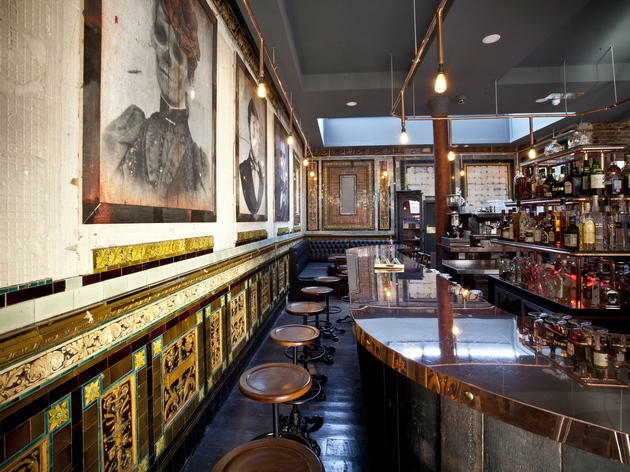 A quick taster Well-appointed, well-located bar offering a slicker way to do beer. 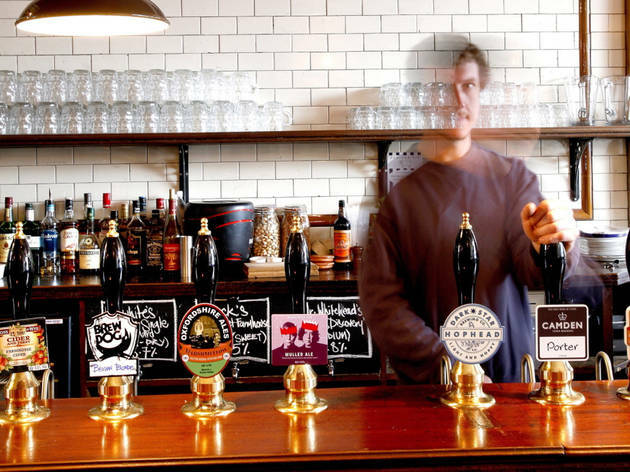 Make mine… Don’t baulk at the prices; those strong kegs are all well-chosen, so splash out on a half. Ours was the Left Hand Twin Sisters Imperial IPA at a hefty 9.6 percent. When to visit When you’re with a big group and need a place where noise isn’t frowned upon. 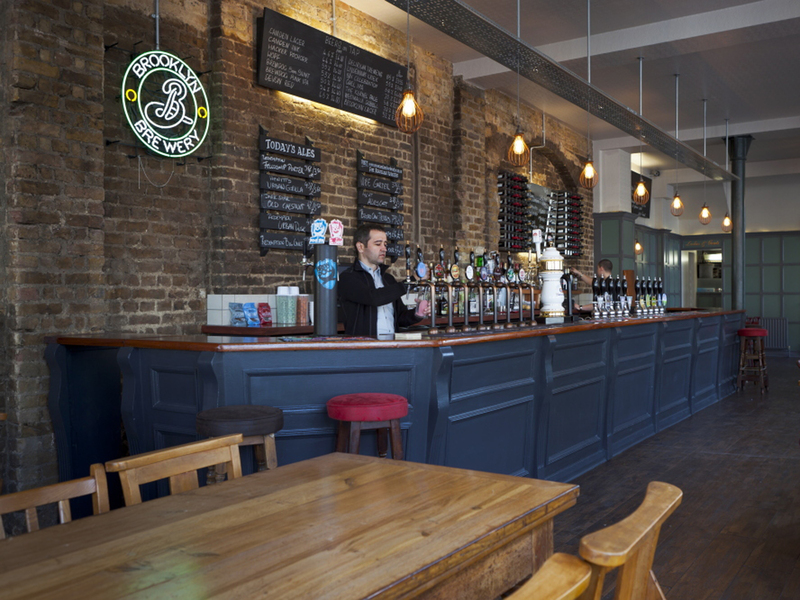 A quick taster A railway-arch pub from the folks behind London’s original craft beer pub, the Euston Tap. Make mine... 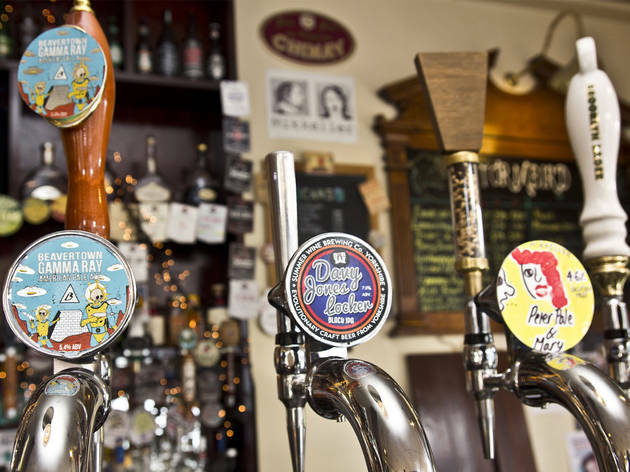 The taps often host some lesser-seen British breweries, with a focus on the north. Try something from Northern Monk if it’s on. When to visit When you’ve got a train to catch – Waterloo is just a quick dash away. Best to order halves if you’re prone to losing track of time. A quick taster Authentic East End pub, thoroughly modern beer. Make mine… A Redchurch Bethnal Pale Ale: as local as it gets. When to visit Straight after work so you can nab a table. Otherwise it’s standing room only. 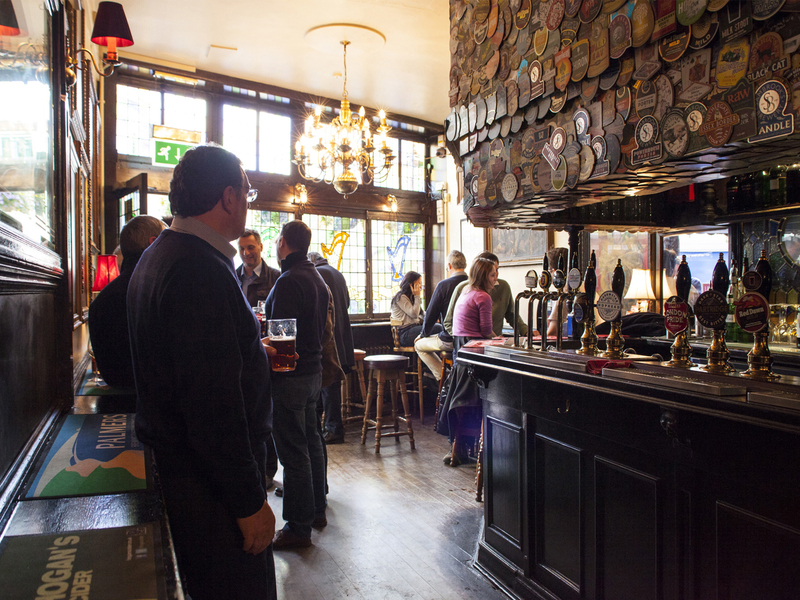 A quick taster One of the best pubs in London, full stop. And the beer is always brilliant. Make mine... There’s often a mild pouring: take advantage and try this traditional but still relevant style. When to visit It’s not really near much else, but it’s worth making a special trip here. A quick taster It’s all about the excellent selection of beers from One Mile End (who used to brew in the basement) at this comfortable boozer. Make mine… The Salvation! Pale is an easy entry point, but if you want to go a little crazy try the dizzying Directorate Stout (10% ABV). When to visit When you’ve got the stamina for a proper sample session. The variety of styles on offer is almost overwhelming. 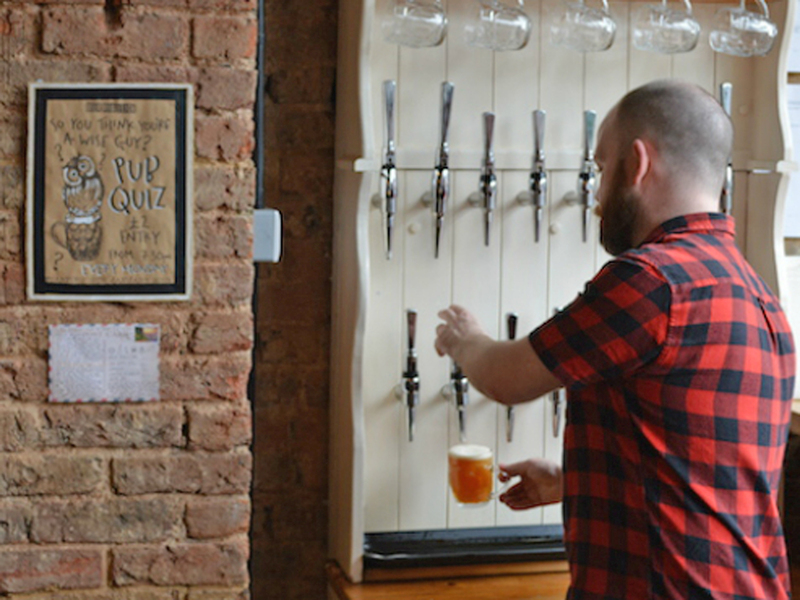 A quick taster The standout beer pub in west London. Make mine… Harvey’s Sussex Best is hard to beat. When to visit During one of the regular beer festivals – American, Old Ales, European, for example.